Honeymoons are as individual as the couple, which is why all our trips to Peru and Bolivia are tailormade. 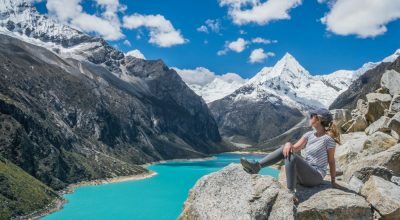 Whether you’re looking to hike at Machu Picchu, indulge in Lima‘s world-class dining, kick back in a private villa on a palm-fringed beach or sleep under the stars in a deluxe airstream camper in Uyuni, you’re guaranteed variety like no other destination by taking a honeymoon in Peru and Bolivia. You can visit Machu Picchu in sumptuous style aboard the luxurious Hiram Bingham train, or explore hidden corners of the country with an adventurous trip of a lifetime. Raise a glass at sunset with a pop-up dinner in the desert sand dunes of Paracas, board a luxury Amazon cruise to get up-close to wildlife, or take a break biking and hiking in the Sacred Valley with a private gourmet picnic lunch in a secret location accompanied by an authentic, traditional blessing from a Shaman. From sumptuous five-star hotels to boutique retreats packed with personality, the range of luxury hotels in Peru is as diverse as the country’s sites of interest to suit whatever type of honeymoon you’re looking to make as newlyweds. There’s really nowhere else on earth that packs a punch like Bolivia does when it comes to sublime, surreal scenery. 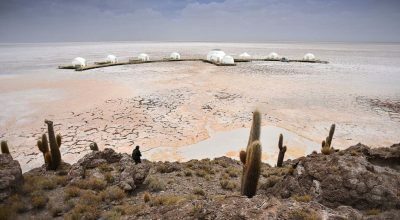 Make the salt flats of Uyuni the backdrop for romantic sundowner drinks followed by star-gazing with an astronomer, then curl up in a unique hotel made entirely from salt or your own deluxe airstream camper with your own dedicated chef. Bliss. Looking for adventure or to undertake a challenge as a couple? Machu Picchu luxury trips can include hiking the world-famous Inca trail or the best alternative treks to Machu Picchu. Camping needn’t compromise comfort: your own dedicated cook can rustle up a champagne breakfast and you can even splash out on a personal masseuse to accompany a trek. Alternatively enjoy one of Peru’s lodge-to-lodge trails, go further off the grid with lesser-known routes, or indulge in a night Glamping in the Sacred Valley by a secluded lake. 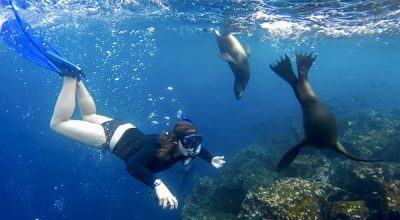 Peru has an enormous stretch of coastline with sun-kissed, sandy beaches in the north. Honeymooners can choose between five-star resort Arennas, trendy beach bolt-hole KiChic, or your own private beach villa, to relax and unwind by swaying palm trees. Peru’s hotels offer supreme relaxation – whether you’ve been out on a hike or not! Celebrate in style on your honeymoon by indulging in some of the world’s best dining experiences. Lima is home to no-less than four of the World’s Top 50 Restaurants. 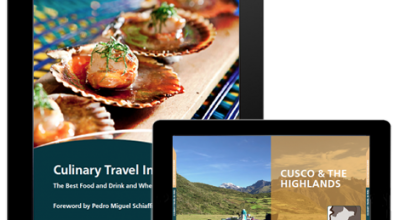 Enjoy tasting menus, learn to cook with professional chefs and sample Peru’s national spirit Pisco under the expert guidance of a mixologist. We understand that your honeymoon might be the perfect excuse for special touches and extra WOW factors. Every honeymoon we design is bespoke, to make sure your experience of Peru and Bolivia goes beyond your ‘regular’ travels. We can arrange anything from small touches like meaningful momentos from the places you’ve visited, to lavish destination dining in historic venues with entertainment and fireworks. We’ll inspire with our creativity to make this once-in-a-lifetime trip meaningful and memorable. All our hand-picked hotel recommendations are based on our expert destination knowledge. Our locally-based travel designers will make personalized recommendations to suit your taste, style and budget. There are a myriad of award-winning five-star hotels, understated boutiques and memorable lodges so that you can mix-and-match properties as you travel. We also have a hand-picked private villa collection if you’re looking for more exclusivity.